“Just how big a market is this?” If you are an entrepreneur raising money or a seasoned product manager, or a CEO planning on an IPO, someone is going to ask you that question and you need to be well prepared with the answer. Market sizing is an important and common requirement. It is an especially challenging task when you are creating a new market or addressing emerging opportunities. This is why we created a packaged solution focused on market sizing. Market sizing can be defined as the number of buyers of your product, or users of your service, and the price they are willing to pay to get them. Given the number of users and average solution pricing calculating the market size, growth and expected market share is now possible, for example. The main purpose of market sizing is to inform business or product viability, specifically go/no-go decisions, as well as key marketing decisions, such as pricing of the service, resource planning, or marketing tactics to increase usage, together with an estimate of the level of operational and technological capabilities required to service the expected market. 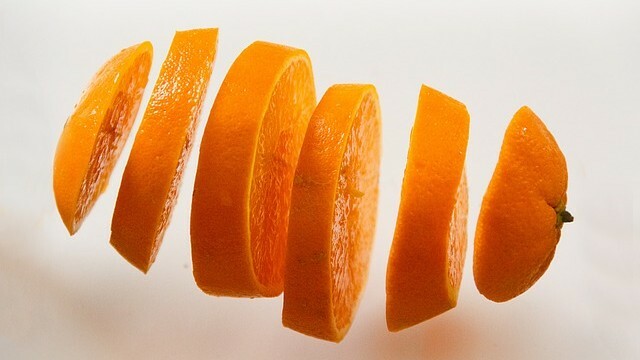 There are two main market-sizing methods: bottom-up and top-down, each with unique benefits and challenges. Market Sizing: TAM SAM SOM – what do they mean and why do they matter? When doing market analysis, market sizing is frequently referred to as TAM, SAM, and SOM, acronyms that represents different subsets of a market. But what do they mean and why are they useful to investors or product development executives? TAM or Total Available Market is the total market demand for your product or service. This is the market size if anyone in the world who could possibly buy your product did so. SAM or Serviceable Available Market is the segment of the TAM that is, in principle, within your reach. SOM or Serviceable Obtainable Market is the portion of SAM that you can actually capture. It is the subset that you can in practice approach, sell to, and service. Depending on your company’s product or service calculating TAM, SAM and SOM will be very different. A hardware-based company may be constrained by geography because of the service and support requirement. Whereas, today’s software company does not have these same constraints as distribution is via the Internet and by default it is global. Similarly a startup is very different to an established company, XZY Widgets versus IBM for example. Still confused about TAM SAM SOM? Here is an example. Let’s say your company is a storage startup and planning to introduce a new storage widget. Your TAM would be the worldwide storage market. If your company had business operations in every country and there was no competition, then your revenue would be equivalent to the TAM, 100% market share — highly unlikely. As a storage startup organization, it would be more realistic to focus on prospects within your city or state. Geographic proximity is an important consideration at this early stage as you have limited distribution and support capability, close proximity makes sense. This would be your SAM: the demand for your storage products within your reach. If you were the only storage provider in your state, then you would generate 100% of the revenue. Again, highly unlikely. Realistically, you can hope to capture only part of the SAM. With a new storage product you would attract early adopters of your new widget within your selected geography. This is your SOM. 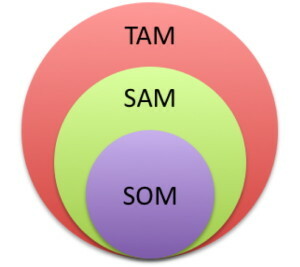 TAM SAM SOM have different purposes: SOM indicates the short-term sales potential, SOM / SAM the target market share, and TAM the potential at scale. These all play an important role in assessing the investment opportunity and the focus should really be on getting the most accurate numbers rather than the biggest possible numbers. In-depth industry knowledge, logical analysis, and a command of business processes are some of the necessary ingredients used by OrionX to arrive at reliable market size projections based on available data. The analysis can then be customized for executive updates, due-diligence, the pricing process, market share objectives, or manufacturing capacity planning. Steve brings a unique blend of expertise to the technology industry. 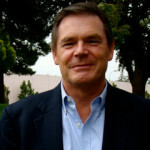 He has held senior VP positions in sales & marketing for HPC and Enterprise vendors including Sun Microsystems and Hitachi. He’s also worked with early stage technology and Internet start-ups helping to raise over $300M for clients.